Asphalt shingles have been traditionally the most popular type of shingle. The popularity of asphalt shingles stemmed from its cheap price and easy installation. However, with advances in technology, the popularity of asphalt shingles has waned. In response to this loss of market share, producers of asphalt shingles have developed other styles of asphalt shingles. Strip shingles are a style of asphalt shingles. This style of shingle is one of the most basic kind of shingles in the marketplace. 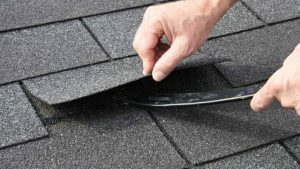 Strip shingles are constructed with single layered roofing shingles. The single-layered construction makes strip shingles very lightweight. In the past this type of shingle had a monopoly on the market for roofing materials. Now strip shingles are used on rental or low end builds and for repairs. Dimensional shingles are another style of asphalt shingles. Dimensional shingles are multi-layered shingles. Because of their construction, these shingles are heavier than strip shingles. These shingles also have more curb appeal. Its sturdy construction has garnered warranties that range from 30 years to a lifetime. Dimensional shingles are the dominant shingles sold in North America. Premium shingles are a third style of asphalt shingles. Premium shingles are sometimes referred to as laminated shingles. These shingles are dimensional shingles, but they function differently. Premium shingles mimic other styles of shingles. These shingles can masquerade as natural slate or natural shake. Premium shingles may have added features that deflect sun rays that lead to lower energy bills. There are two types of asphalt shingles. They are organic and fiberglass. These two types of asphalt shingles are made in similar ways. They use asphalt as their prime material However, organic asphalt shingle has as its base formerly living material like wood or paper. Fiberglass asphalt shingles have fiberglass as their base material. Organic shingles contain 40% more asphalt than fiberglass shingles. However, fiberglass has overtaken by organic shingles. What has generated fiberglass’s popularity is that its composition retards fire better than organic shingles. Organic shingles are made of paper or wood, which are highly flammable materials. In the 1980‘s, fiberglass shingles were created to replace asbestos paper in shingles. The asbestos could have created health risks for workers and landfill operators. The ability to retard fire has consistently given an “A” rating to fiberglass shingles for fire prevention while organic shingles receive a “C” in that area. The greatest drawback of asphalt shingles is that they are environmentally unfriendly. 11million tons of asphalt shingles are dumped each year in the United States. The preferred dump sites are landfills. The upside is that asphalt shingles can be repurposed. The only concern is that the disposed shingles might contain asbestos, which happens rarely.